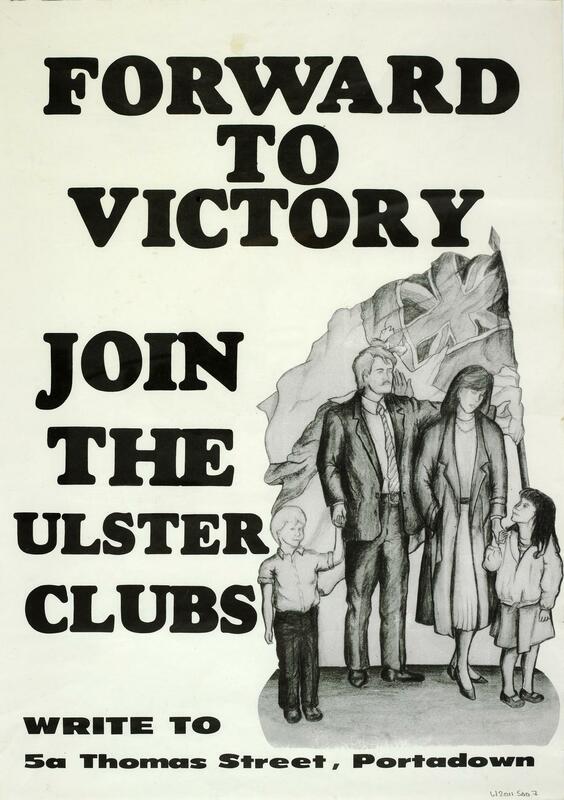 Poster with message 'Forward to Victory - Join the Ulster Clubs,' with an image of a man, woman and two children sheltering under a Northern Ireland flag. This poster was produced by the Ulster Clubs in the wake of the signing the Anglo-Irish Agreement. The Ulster Clubs were originally formed in 1985 to oppose re-routing of Orange parades but after the signing of the Anglo-Irish Agreement it focussed on opposing the Agreement.